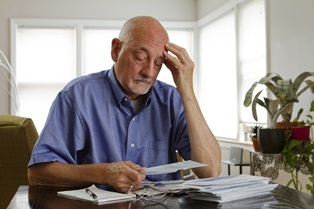 Financial Help While Waiting for Social Security Disability | Johnson & Gilbert, P. A. The stress of living with a disability often goes hand-in-hand with the financial pressure of being unable to earn a living. Even if you're approved for government benefits through the Social Security Administration, there's a waiting period before the initial payment is sent, which can be a month or more. During this time, claimants should consider their finances carefully to maximize income and prevent future hardship. If you're approved for benefits but still waiting for your payments to begin, there are many steps you can take to relieve financial concerns. You should weigh the potential benefits of each option carefully, and begin with those that have no downside, such as claiming additional benefits. Check your eligibility for public assistance benefits such as welfare or food stamps. Contact your local Department of Social Services to speak with a social worker about other assistance programs for which you're qualified. See if you could qualify for immediate benefits through the Compassionate Allowances program. Apply for student loan deferment or debt restructuring through your credit card lender to lessen the amount of your monthly bills. Ask family or friends for financial help until your payments arrive. Use funds from your savings accounts or other emergency financial sources. See if you have any assets that could be sold for fast funds, such as jewelry, household goods, stocks, or retirement accounts. Speak to a mortgage broker as to whether refinancing your home could lower your mortgage payments. Consider refinancing your other outstanding debts, such as car and business loans. Ask your mortgage lender if you qualify for a home equity line of credit, such as borrowing against the value of your home. Consider a short-term personal loan from a nearby bank, credit union, or online lender. If you're struggling financially while waiting for the Social Security Administration to make a decision on your case, we can help you strengthen your claim and fight on your behalf to get your benefits approved. Fill out the quick contact form on this page to set up your consultation with a Social Security attorney.